We’ve reached the point where idol music – usually an area reserved for AKB48 and Momoiro Clover z – has become really sonically smart. Not always at the top (though sometimes for sure!) but the lower rungs of idol-dom have resulted in some really interesting music. One reason – a lot of young producers are given a shot on major labels producing fledgling idol groups, presumably in an effort to carve out a unique sound for them. Some very talented producers – Fragment, Okadada, more – have been recruited for new idol groups. This week saw two new-ish groups release songs featuring sonic work from really talented producers, and they are some very intriguing J-Pop projects. First up, Osaka’s Especia. It isn’t totally clear what their schtick is, though a few buzzwords get thrown around – “disco,” “’80s” and (most eye grabbing) “vaperwave” (referring to an Internet-centric genre indebted to ’80s Japanese culture). It’s very trendy labeling, and sorta accurate…the first two fit, while the last one probably could only be applied to the song “XO,” which features a sax just begging to be vapored. 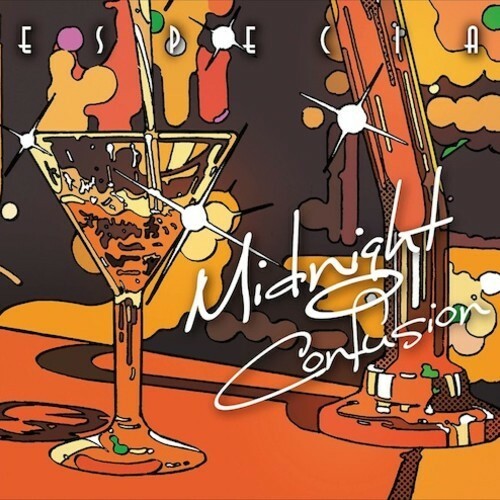 The real highlights, though, are the songs bookending their debut EP Midnight Confusion, which are just boogie-worthy bits of city-pop inspired music. The title track is the highlight, a hi-fi dance number that sounds like a more crystal Tokyo Girls’ Style. It is a fantastic pop song with a retrovibe (written by singer SAWA and produced by the talented Schtein&Longer). They even pulled in some great remixers – Tokyo’s Greeen Linez contributes a rework on the album. Listen to the original songs below. Fellow Osaka unit Lyrical School have been around longer – they used to be known as tengal6, and have been hit or miss, though consistently boasting great producers. They have a new album on the way called Date Course, and the first track from it is a big leap in quality from them. It was produced by Tofubeats, who has been working with them for a while, but here really ups his idol-pop game. Lyrical School are supposed to be a hip-hop-leaning unit, but a lot of their older music has sounded too crowded and cutesy to allow them to stand out. Well, Tofubeats has now crafted an understated beat that is slinky but gives the group plenty of room for the group to do their thing. Listen below.